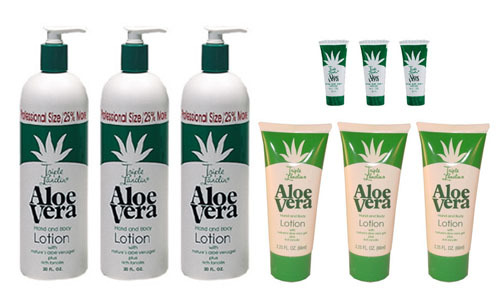 The healing and curative properties of aloe vera gel have been well published for a number of years. 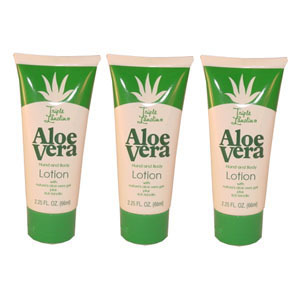 Our Triple Lanolin Aloe Vera Lotion combines two of nature's best emollients, aloe vera and lanolin, to produce a very elegant and lightly-scented lotion. The lighter feel and fragrance of this product appeals to both women and men alike. 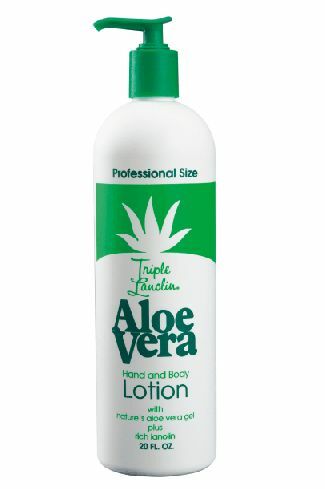 Professional nail technicians also have found our lotion to be easy to work with on their clients. It massages in quickly, and doesn't leave a greasy or slippery feel after application. 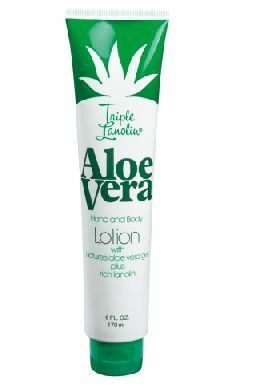 During the fifteen years since it's initial introduction, Triple Lanolin Aloe Vera Lotion has become our #1 selling product. * Easy to carry with you size. * Each Tube 2.25 fl. oz. 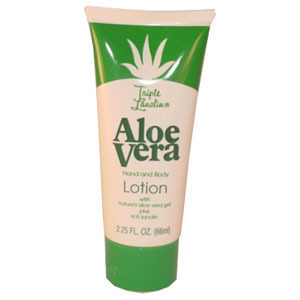 * Combo lets you have the just the right size of Aloe Vera Lotion for the Home , in the Purse and on the Go !! !